Stinging nettle is one of those super plants that supposedly does it all. I can’t speak to all its benefits, but I do find stinging nettle helpful for seasonal allergies. So do others, apparently. One preliminary human study suggested that nettle capsules helped reduce sneezing and itching in people with hay fever. Researchers think that may be due to nettle’s ability to reduce the amount of histamine the body produces in response to an allergen. I’ve been drinking nettle tea in the morning, but ya know, I’m a coffee kinda’ girl. I’ve been thinking I’d like to chew my nettle. Plus, I’m a big fan of crispy, salty, baked-in-lard type of foods. As long as that lard is from pastured pigs, that is. So, hey, if you can make a chip from kale, you can make a chip from nettle, I’m thinking. A pretty darn good chip, if I do say so myself! For dinner the other night, we had grass-fed burgers with dandelion pesto, and a side of nettle chips. Couldn’t get any better than that! Just be sure to wear gloves while harvesting and while removing the nettle from its stems. They don’t call it stinging for nothin’. Cooking the nettle will render the little stinging hairs harmless. 1. Preheat your oven to 300°. 2. 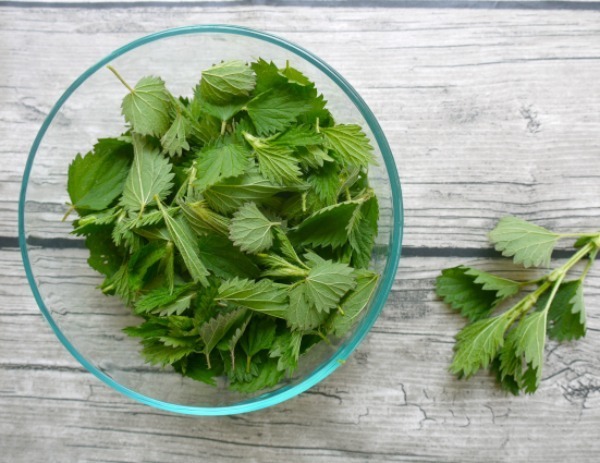 Toss the nettle leaves with melted fat. Spread on a baking sheet. 3. Sprinkle on sea salt to taste. 4. Bake for 20 - 30 minutes until crisp, gently turning once with a spatula halfway through baking. 5. Cool on paper towels. 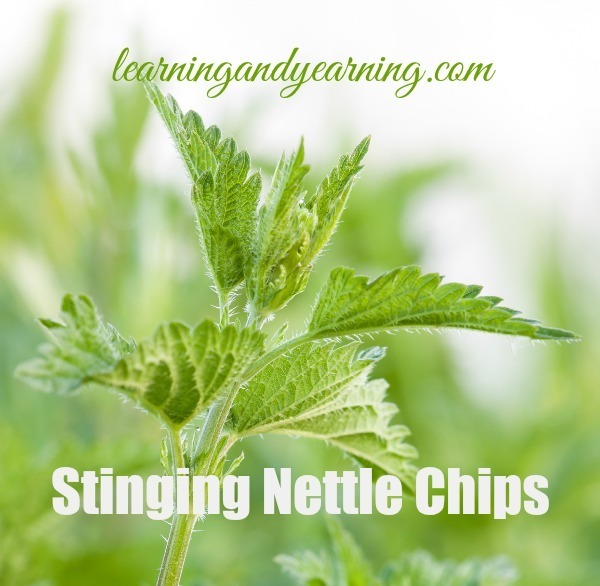 What great ways do you use stinging nettle? You are always full of creative ideas! I plan to try them both. 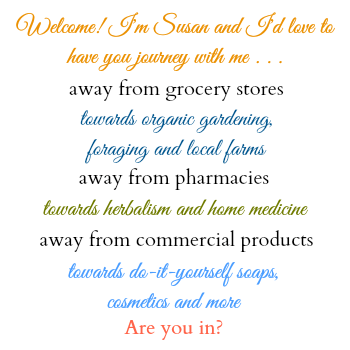 Are there more than one kind of stinging nettle and are there any that you should not consume. I have a bumper crop of nettle this year that looks like the same kind as what is in your article. Wouldn’t it be great if you could eat it instead of trying to eradicate it. Bryan, there are many kinds of nettle. Stinging nettle is Urtica dioica. Your best bet is to google that to make a positive identification of your nettle. Thanks for stopping by! This was a new idea to me. Sounds tasty. I’ve also never had nettle tea but if it’s not to strong a flavor maybe you could combine it with your beloved coffee? This information is great! I find it extremely helpful. Where can we find stinging nettle locally? I’ve heard when you rub the plant on joints, it relieves arthritis pain . . . ? Thanks, Susan. Hi Sarah, talk to Deb; it’s growing in her yard! Poisonous white snake root looks somewhat like stinging nettles. There is NO stinging hairs on white snake root, but be aware. I have seen them growing in close proximity to each other. Take care & have fun in the woods.